Liverpool CEO Peter Moore has assured supporters that the club are still exploring their options in expanding the Anfield Road End at Anfield. Work was concluded on the stadium’s Main Stand expansion last season, adding 8,500 seats to bring the capacity up to 54,074 and revamping both its interior and exterior. The area is now much-improved, including a new-look, designated fan zone and the new club shop, while the matchday experience is much more convenient. This has seen the first phase of Fenway Sports Group’s proposed expansion of Anfield completed, but there have been doubts over whether phase two would go ahead. 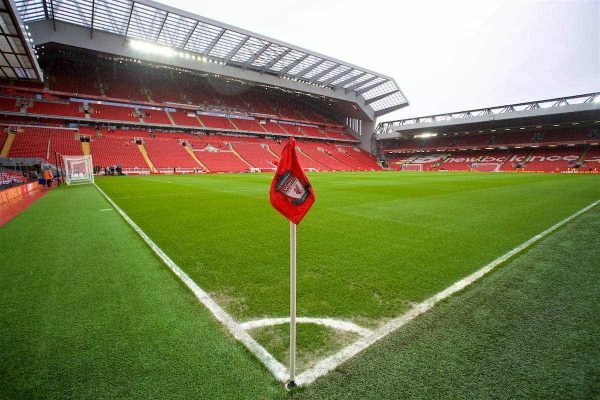 However, speaking to Sky Sports on Friday morning, Moore insisted that Liverpool were assessing the possibilities when it comes to further work on the Anfield Road End. 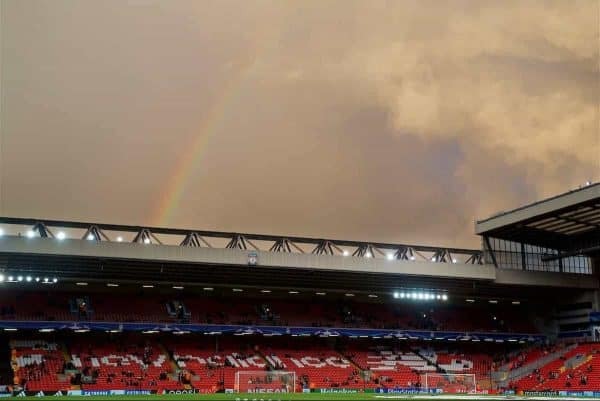 “As you know we have a permit for the Anfield Road End for September 2019 to add maybe another 6,000 seats which will bring us up to 60,000 here,” he told Geoff Shreeves and Jamie Carragher. “I also know from living here, for every Liverpool ticket there is 10 people who want to buy it. “We totally get what we need to do. We’re going to do what we did with the Main Stand, which is look at what we need to do in a measured manner. “We’ll look at what investment the ownership needs to put in. Liverpool currently have outline planning permission to expand the Anfield Road End, and as Moore explained this would require work to begin by the end of 2019. The demand is clearly there for a further expansion of the Reds’ stadium, and with Moore describing the club, and its ownership, as “fan-first,” it would seem a sensible move. However, the issue remains a financial one, with fewer commercial opportunities with the Anfield Road End than there were when expanding the Main Stand. Speaking in May, Liverpool’s chief operating officer Andy Hughes provided further insight into the process. “We are currently working up design, feasibility, cost, capacity and economic viability options,” he said. It seems that, at this stage, Liverpool are no closer to moving forward with phase two of Anfield’s expansion, with previous hints also being made that such development was on hold until the new training ground is completed in Kirkby. And while it is at least encouraging that, according to Moore, nothing has been ruled out so far, critics of the club could ask how much longer they need to look at the decision.